Esta entrevista se puede leer en castellano aquí. 1. Tell us a little about James Monkman (Heavy Stylus). Who are you? And what are you doing? 2. What was the beginning of your enthusiasm for computers? Which kind of equipments did you start with? My father used to work in the magnetic media industry, so I was introduced to computers from a young age – first a BBC, then Sinclair Spectrum, Atari STE, Amiga 1200, then through various soulless PC’s until the current generation. I was never that interested in consoles, although I have a Famicom, CD32 and Sega Dreamcast that I still use regularly. I missed out on the C64 scene back in the day – most of my friends had ZX Spectrums so that was the obvious choice of platform to maximise playground tape swapping. In fact, I didn’t own a C64 until after I’d been following the modern day homebrew scene via emulation for a few years; it was actually playing Aleksi Eeben’s Greenrunner that convinced me to invest in real hardware, and it’s a decision I don’t regret. 3. Which are the titles which impressed you most and which ones are those you like to remember with affection? With which ones did you spend most time playing and what is the difference with the games you are playing with today? Wow, this is a tricky one. I think that my favourite machine I owned back in the 1990’s was the Amiga – which was also the computer that introduced me to the demoscene, although I used to buy demos and so on from PD libraries like a lamer instead of disk swapping at parties! 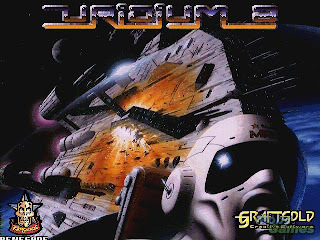 My favourite Amiga game was (and still is) Uridium 2 by Graftgold/Renegade. In retrospect it does suffer from some typical euro-shooter issues, but the atmosphere, game-play and music is unmatched by any other shooter of the period – and in my opinion it still holds its own today. Uridium 2 is hugely fun with two players as well. I actually got in touch with Steve Turner last year after sending him some fan mail and trying to dig up information on the cancelled CD32 version of the game. Unfortunately, a few false leads and a zip disk containing unrelated data was all that came of the investigation, but it was exciting to speak with several of the people involved in the creation of my favourite game. In the end I worked with an Amiga scener (musashi5150) and we released a version of the game that was hacked to run on a vanilla CD32 as a sort of tribute. Today I still have a lot of love for 2D (or 2.5D) shmups, but with regard to modern games I’m only really interested in the indie and retro scenes. I don’t have the time to invest in playing in-depth AAA commercial releases any more. Recent favourites I’ve been playing include Syder Arcade, Luftrasers, Super Puzzle Platformer Deluxe, Oniken, Cargo Commander and Pushcat – all of which I highly recommend. 4. We know that you like to collect pieces of classical hardware. Do you do it under a certain kind of choice or do you keep all the systems which you can lay hands on? Of which pieces are you the proudest? Unfortunately I just don’t have the space for a multitude of systems, so only the C64, Atari STE, Dreamcast, Gamecube and Famicom are currently set up. The other machines are carefully packed away in under-bed storage boxes! Out of the machines I have, the only ones that I keep spares/variants of are the Commodores – I have a couple of C64c’s, a breadbin and a C128. For obvious reasons the C64’s get the most use, but I’m quite fond of my Nintendo Famicom (probably the most expensive retro machine I own) and the library of homebrew game carts that I’ve collected over the years. 5. You started your work with RGCD already some years ago. With which intentions did you start and which projects have you got for the future? RGCD started as a CD based discmag focused on reviewing new games for old hardware and retro-style indie titles for modern systems (hence the name Retro Gamer CD). Along with the reviews, the disk contained all the games and emulators required in one single download, which was quite a popular concept. We released six issues, but after becoming a father I began to struggle to find the time to work on the time-intensive editorial and compilation processes. Instead of dying out altogether, the magazine evolved into the blog/news format it is today. Working with some friends I’d made along the RGCD journey, over the past few years we also put out some small game releases too, such as r0x for the Atari STE and Robotz DX for the PC. We also worked with indie developer Locomalito and Spectrum coder David Hughes to create a PC version of Endless Forms Most Beautiful, a game that was very well-received by the press. I still have several unfinished non-C64 game projects sat on my desktop, and hopefully some of them will be released eventually. It’s the kind of thing that I’d actually need to take time off work to achieve – unlike C64 games publishing, I find that programming isn’t so easy to pick up and put down when I have only a few minutes to spare each day. 6. Do you see an economical possibility in the sales of games for 'old fashioned' or 'out of use' computers or do you do this without economical pretensions? To keep the games affordable, our C64 cartridges are generally sold with no more than a £5 mark up, and this is split equally between RGCD and the development team. So, typically this means £1.25 per sale for the coder, the artist, the musician and RGCD. So far this year we have sold around 650 cartridges – so that’s not a lot of cash for a lot of work! With most games selling around 50 copies, this means that everyone involved gets a modest payment for their work as well as their own physical copy of their game. It makes it feel a bit more worthwhile I guess, but it’s never going to pay the bills - we’re in this for the fun of it rather than to supplement our salaries. 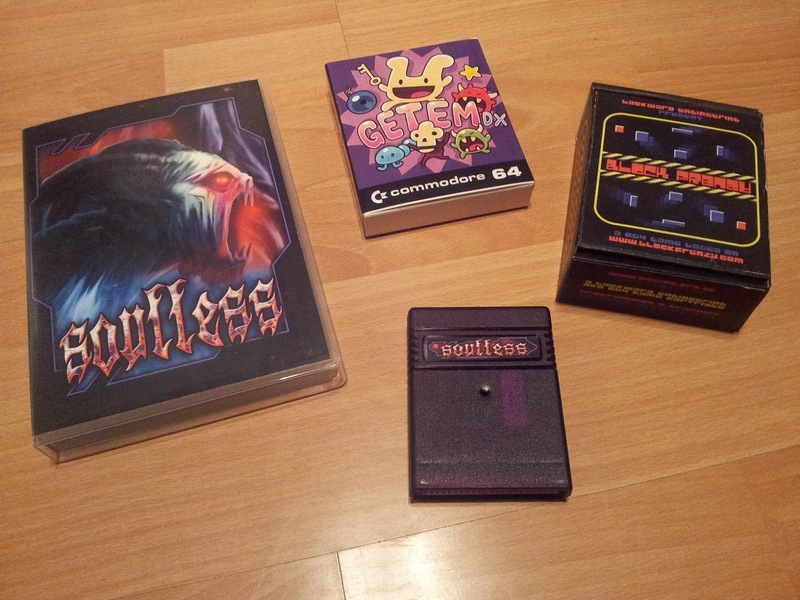 Some titles, such as Soulless (150+ copies sold) and C64anabalt (200+ copies sold), have actually made a decent profit, but any money made is simply reinvested and used to buy new pieces of equipment or fund new hardware development. 7. During those last two years the RGCD has really soared up selling software, specially all on a physical base. Do you think that software still has a big future ahead of it? Since re-launching RGCD as a retro software publisher in April 2012 I’ve been focusing on building up a catalogue of titles. After the frantic initial release period, most games continue to sell one or two copies a month, so the more games there are in the library the steadier the day-to-day sales. Going forward, the next project we have underway is a proper eCommerce system – using PayPal buttons on a blog just isn’t satisfactory, and I receive emails every week asking about combined shipping, shopping carts and so on. This will resolve all of these problems. It’ll also allow us to support/host downloads and link directly to Psytronik’s store for games that we’ve joint published. It’s taken a lot of time and investment, but will certainly be worth the wait. So in answer to the question, I certainly hope that there’s a future in retro software! 8. Tell us a bit about the work of the creation of a cartridge. Who takes part and how does the process work? Interestingly, since our interview with Return Magazine (whom also asked this same question) the process has been revised. The cartridge hardware and shells we use are provided and designed by Tim Harris (http://blog.sharewareplus.co.uk/) and Ray Lejeuz of Arkanix Labs, with Tim manually-assembling each and every cartridge from new components. At the moment there are two variations we use – a 16KB PCB and a more expensive 64KB PCB – but there are several other prototypes in development. We’ve recently teamed up with Onslaught’s David Simmonds (Jazzcat) who carries out hardware testing on all the variants and peripherals in his collection, and Martin Wendt (Enthusi) who’s our resident RGCD lead coder. Enthusi is probably the most important member of the team right now, as his role involves helping coders to fix game binaries to work on Tim’s hardware as well as developing menu systems and working on his own game projects. (Most of the time we are sent games in a working format, but occasionally developers need a bit of assistance in getting it right). When Enthusi has a working game binary running on his test board, we package up the files and send them over to Tim for duplication. One cartridge is created and sent to me or occasionally the developer for thorough playtesting, and when confirmed as working an order is placed for the first batch. As soon as the prototype gets the thumbs up, the cogs of the promotional campaign grind into action. We send out review copies to the press and use facebook, twitter, YouTube, Mail Chimp and our blog to start raising interest. When the first box of cartridges arrives we put them up on sale on the site, normally coinciding with the first reviews appearing in the retro and indie gaming press. It’s evolved into a pretty smooth process, although occasionally a launch is delayed due to issues with acquiring box artwork and game-play videos. 9. Before publishing a title, how do you consider if it is of value to make it into a cartridge and which one isn't worth to do so? There’s no easy answer to this, other than as project leader I have overall responsibility (i.e. it is my investment) and as a gaming enthusiast myself I generally go by gut-feeling. It’s not really a question of market value (there’s no minimum order quantity for the cartridges), but rather a decision as to whether or not I feel that the game fits with the rest of our portfolio. 10. Why did you choose the sales of games for Commodore 64 and no other systems? Well, actually this has been down to the fact that (until recently) I only had access to C64 cartridge hardware. I’m a dedicated C64 enthusiast, but as a publisher RGCD will (and have) been looking into other formats – including modern systems. In fact, we’ve only recently launched our first Atari Jaguar game (KM Final by Reboot), which has proved to be a successful enough venture to warrant repeating. This year’s goal is to continue acting as a retro software publisher, but also branch out into the release of limited physical editions of some of our favourite indie games. James knows that the cartridge is the king !!!! 11. Do you spend much time in playing or testing titles or do you only sell them? If you do so, which games and kinds are your favourites? Of course! Extensive beta play-testing and supplying feedback to the developers is one of the main benefits of publishing, as it gives an opportunity to help finalise the game design. For example, we try to ensure that the games we release are compatible with the keyboard-less C64GS, so that’s another issue that is often flagged up during the beta testing phase. It’s helpful to the developers as well, because when involved in the creative process it is common to become an expert at your own game and end up with the difficulty curve that’s too steep for new players – our involvement gives the developer a fresh perspective. As for personal favourites, I love arcade style games that are easy to pick up and put down again without needing to memorise complex rules and controls. The first question I often ask myself when reviewing a possible RGCD release is “would this work as a coin-op in an arcade?”, although there have been exceptions to this rule (Soulless for example). 12. Which other pages do you dedicate for frequent classical information? Lots, but my focus is on new releases rather than classics! I trawl through a number of news sites more or less every day; indiegames.com, World of Spectrum, Fandal’s 8-Bit Atari site, CSDB, pouet.net, tigsource.com, retrocollect.com... and that’s only the regular ones. 13. Have you got any parallel projects besides RGCD? As I mentioned previously, I still have a number of unfinished game projects of that I’d like to return to, and I probably should focus more energy into DJing and making beats again. 14. Do you go to events or meetings with other users of C64? Do you do it as an exhibitor or a visitor? Can you tell us an anecdote of something which has happened to you during an event in relative to the C64? 15. Thank you for everything. Would you like to add something? 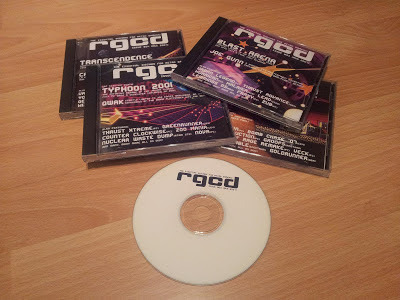 I’d just like to say a bit thank you to everyone who has supported RGCD in the past, and also send love to the members of RGCD, Onslaught, Oxyron, TRSI, G*P, Cosine, NoExtra, Rich at TND, Frank at GTW64 and of course Kenz at Psytronik/Binaryzone.